SCEA published some new screenshots and artwork from God of War III. march can not come soon enough. The game is gorgeous. I know 4 guys that only own a 360 that are already saving money for a PS3. Sony is really starting to flex that PS3 muscle. God of War 3, a price drop, and GT5 means MS is going to have to really step its game up. Not all the console exclusives from Valve can compete with those three IPs. And BTW, how in the world did Sony give these shots to Eurogamer? Eurogamer and Edge should be blacklisted in my opinion. I think Gran Turismo 5 alone will mean great business for Sony's powerhouse. I was never really a fan myself, but after taking a closer look at what was shown at E3, I have decided to get it. God of War III is of course a must purchase, no matter what it turns out to be. God of War 3, mmmm delicious, I can't wait. This game will be almost as good as counting. The greatest game for PS3. Even with these shots some people still say it looks like GOW2 HD, idiots. This game really does look like a PS2 game in HD. Ghostbusters looks better than this does. Maybe it's the artstyle that makes it look like a PS2 game, don't know. please dont waste your time with this one people, please. Please don't put it in the same underwhelming bucket as the rest of the PleaseFixMe's lineup. Didn't I already kick your @ss once? You want more, huh? Well I'm sure to have a crackin time kickin it again!! 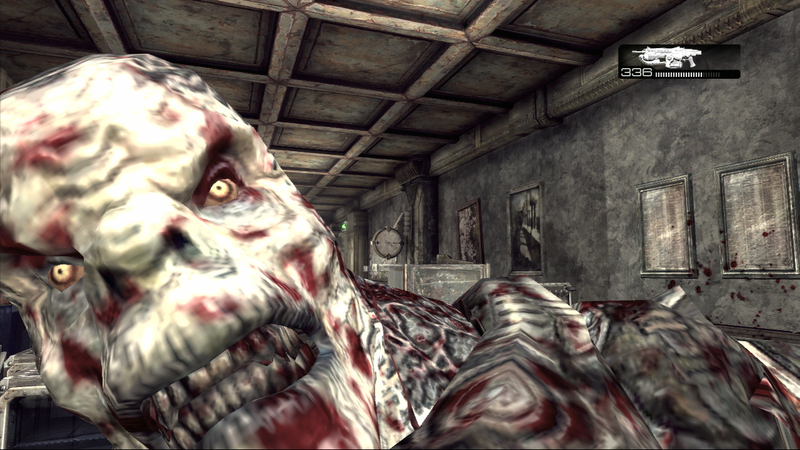 yep really great textures, this game looks awesome hahaha, and you guys blame GoW. Really good... for a ps2 game. The Agent exclusive, FFvs13 exclusive, FF14 exclusive, MGS peacewalker exclusive, GT5, The last guardian, it just keeps on coming lol. El Botto, You don't even have those games, I have most of the games you listed plus some great 360 games. How many trophies do you have? Did you finish infamous? I think its time to go to one of your other accounts soon. But you will still be one of the least credible people on this site, oh! And you don't know sh*t about gaming. trolling the trolls, it never gets old. all i can say is AMAZING . GOW3 will be amazing . The first time I saw GeOW2 I thought it was a PS1 game, you can't blame me because after looking at this http://farm4.static.flickr.... who wouldn't think it's a PS1 game. Wow you sure like to show that same screenshot a lot don't you? I am more of a PS3 fan but I think you are pushing that a little too hard. Everyone knows Gears of War 2 is a great looking game. LOL wow this is the game PleaseFixMe fans are touting as the definitive graphical showcase of what the white box is capable of? such a let down. They must have really low standards. It's quite pathetic really. should be epic like the other ones, or even more epic!!!!!!!!!!! This was the BEST FEELING game I have ever played in my 17 years gaming. Seriously, it just felt right, and the graphics were stunning. Absolutely top-notch and I look forward to reviewing it. can't wait for this bada**. I'll be ripping the heads of any scum i get my hands on. I got this funny feeling that the last few comments on this article will be Forza3 vs GT5 lol. i mean the first and the second i hope the third will make it too . So far I haven't seen any evidence of self-shadowing. GOW3 will probably feature dynamic lighting so there is no reason why there wouldn't be shadows, unless the lighting is static. But everything else in the game is top-notch so I assume the lighting is real time. I remember playing Bioshock and I walked into a hall where the lighting was static (this was on 360 btw), and it was so disappointing because up until that point I was truly amazed with the game. Additionally, I can't stand it when games' graphics are touted as being the best or super awesome, and the shadows don't fall on other characters or on themselves. Well none of the God of War games have had self-shadowing, so I doubt this one will too. It would ground the characters and Kratos much more in the game world if the shadowing was there, but if not...oh well. I'll still buy it. We'll see it could also be a personal artistic choice with so much chaos going on a but much to expect that from the PS2 and all the greatness that were those games. Anyway, ratchet has it and I think it looks really good now. I wouldn't doubt these guys are pushing the engine so if they want it in it will most likely be there. yeah, the 12 "bots" of this site are running scared of the 24 "droids" of this site, I tell ya, the open zone is getting more and more empty, aint it great?! ?